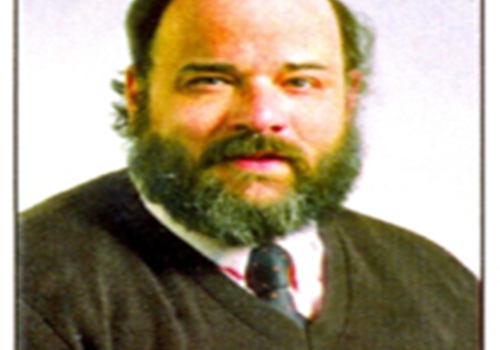 On Sunday, February 17, 2019, Dr. John K. Orak, loving husband and caring father of four, passed away at the age of 67. John grew up in Linden, New Jersey and attended St. Peter’s College. His father was a firefighter and his mother was an immigrant from Czechoslovakia. In fact, John spoke Slovak before English. He graduated from The George Washington University’s School of Medicine in 1977 and completed his post-doctoral work at Shands Teaching Hospital at the University of Florida in 1983. He established the pediatric nephrology program at the Medical University of South Carolina. For 30 years, John devoted his life to caring for his young patients as a pediatric nephrologist at MUSC and Dialysis Clinic Inc. He flew all of the state as the only pediatric nephrologist to care for the children of SC. John Orak was a committed physician who embodied service above self with a heartfelt compassion that made him beloved by his patients. For anyone lucky enough to meet him, there was never any doubt in the depth of love this man felt for his patients and his family. He was absolutely a unique and brilliant person – on the one hand, a renaissance man who would expertly expound on music, film, religion/philosophy, sailing, the economy, politics – seemingly endless topics. On the other hand, he was a true “salt of the earth” rebel who with his trademark loud and colorful language never hesitated to question authority or bureaucracy. He never shied from denouncing hypocrisy, selfishness or self-righteousness. John had zero pretenses – he was simply all there. In the early days of his career he often came to round in our PICU with a musical instrument in hand extemporaneously composing songs for the patients and staff. He was truly a people person – a gifted extrovert who genuinely wanted to know and understand the personal history of everyone he met. His passion for caring was simply so encompassing and obvious that it was endearing. John’s clinical acumen was remarkable – he could almost instantaneously distill enormous medical data into a diagnostic and therapeutic plan. You would be hard pressed to find a topic that John could not hold his own in a conversation with you. He mentored many students, residents and colleagues over the years. Dr. Coral Hanevold wrote, “After I left MUSC John loved to tell people and I QUOTE – “I taught her everything she knows” – and while some might take exception to that, it was in a sense true”. John’s intense devotion to his family, patients and colleagues never seemed to waver and he shared his enthusiasm for life with all. Robert Holleman wrote “I remember spending a month with Dr. Orak at MUSC in 1991 as a second year resident and wondering if we were EVER going to get done with rounds because he was busy playing the piano and singing to the kids in the atrium! That month cemented my interest in nephrology.” For me, John was one of the main reasons I came back to MUSC as I was excited to work with my mentor from medical school. Even though he retired before I started, we shared many phone calls as he would call to check in on his patients and give me the ‘low down’ on what was going on in Charleston. John is survived by Barbara (Zahner) Orak, his wife of 41 years; his four children, Jennifer Meyer and her husband Robert, John Orak and his wife Yolla, Jacqueline Orak, and Jessica Orak; his sister Deborah Orak; and his grandchildren Marisa, Benjamin, John, and James. A Funeral Mass was offered on Monday, February 25, 2019 at 11 o’clock a.m. in Our Lady of Good Counsel Catholic Church at 56 Center Street, Folly Beach, SC. In lieu of flowers, donations to Camp Okawehna in John’s memory would be appreciated. Camp Okawehna is a weeklong summer camp for children with kidney disease. Camp Okawehna 1633 Church St., Suite 500 Nashville, TN 37203.